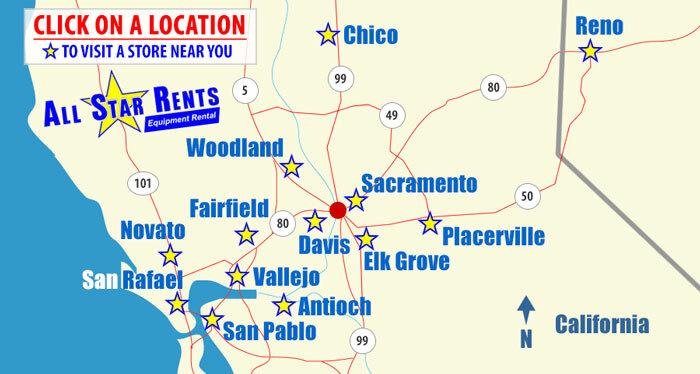 All Star Rents has U-Cart Concrete available for you in four locations - Davis, Fairfield, Sparks / Reno and North Highlands (Sacramento Area). Use our handy concrete calculators below to estimate how much concrete you’ll need for your project. What Is All Star Rents U-Cart Concrete? It is trailer haul concrete which allows our customers to come in and drive away with up to 1 yard of ready mix concrete. Purchasing small quantities of concrete from large commercial concrete operations is expensive and inconvenient. So, All Star Rents concrete plant allows you to purchase the quantity you need, when you need it, without paying extra or having to mix it yourself! All Star Rents concrete blender delivers a precisely blended mix of concrete and aggregate directly into the trailer. At that point, you drive to your job site and pour your concrete. How Far Can You Haul the Concrete? Typically, All Star Rents concrete in a regular tub trailer can be safely hauled twenty-five to thirty minutes before dumping. If you’re worried about the settling of the aggregate or need a longer travel time to the job site, All Star Rents has concrete trailers available with a powered barrel which mixes the concrete continuously until dumped at your site. What Are the Towing Requirements? When loaded with concrete All Star Rents concrete trailers are heavy! Getting your vehicle to safely stop is a big problem. We will not allow anything less than a 3/4 ton pick up WITH a class 3 hitch to tow more than 3/4 of a yard of concrete. We reserve the right to inspect your hitch/towing system and make the decision whether we will allow you to tow our trailers with your vehicle. Please discuss this with us either before you come see us or when you arrive. Rental trucks are available. When preparing your site you need to keep in mind that, like any other structure, your concrete pad will last longer if it has a good foundation under it. Pouring concrete on non-compacted material and/or frozen ground puts your concrete pad at risk. If you prepare a pad of approximately 2" to 4" of base rock you’ll provide your concrete with a great foundation to last for years and years. We rent or sell premium hand trowels, bull floats and jitter bugs to help you get the best results possible. If you have any questions, please call and ask us. We’ll be happy to help you! Enter the width, length & depth of your pour. Click on the "calculate" button and the calculator will estimate the number of cubic yards of concrete required. Width (Feet) Length (Feet) Depth (Inches) Cubic Yards Req. Height (Feet) Length (Feet) Block Size Cubic Yards Req. Enter the height and diameter of the column. Click on the "calculate" button and the calculator will estimate the number of cubic yards of concrete required. Height (Feet) Diameter (Inches) Cubic Yards Req. 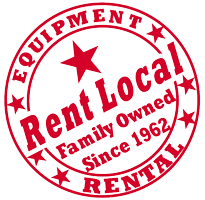 Please also see our product catalog for concrete-related rental equipment available at All Star Rents.